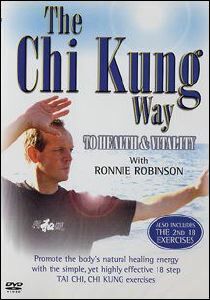 The DVD edition of this best-selling video not only includes clearly defined chapters allowing you to access the various moves with ease but also includes the eagerly awaited 2nd 18 Taiji Qigong Exercises as free bonus footage! With the fast pace of 21st century living more and more of us are suffering from increased stress which manifests as back or neck pain, sleeplessness and constant lethargy. The ancient art of Chi Kung provides us with simple tools to deal with today’s health problems, increase our vitality and reinstate our natural zest for life!